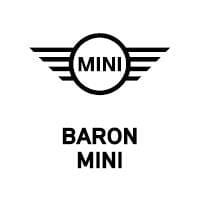 MINI Oxford Edition | Baron MINI Discount available to current students or recent graduates (within 1 year) from any accredited two or four-year school with proof of transcript and/or diploma. $19,750 for the Hardtop 2 Door and $20,750 for the Hardtop 4 Door. The Oxford Edition does not include destination and handling charge of $850 and excludes license, registration, taxes, options, and labor to install. Cannot be combined with other offers. While supplies last. Actual price determined by your authorized MINI Dealers. Savings compared with MSRP of similarly equipped MY19 Hardtop 2 Door and MY19 Hardtop 4 Door. Looking for a 2019 MINI Hardtop 2 Door? This is it. Stylish and fuel efficient. It's the perfect vehicle for keeping your fuel costs down and your driving enjoying up. There is no reason why you shouldn't buy this MINI Hardtop 2 Door Cooper. It is incomparable for the price and quality. The MINI Hardtop 2 Door Cooper will provide you with everything you have always wanted in a car -- Quality, Reliability, and Character. This vehicle won't last long, take it home today. We look forward to seeing you soon! Please call us for more information. Looking for a 2019 MINI Hardtop 2 Door? This is it. This MINI includes: ANTHRACITE HEADLINER TRANSMISSION: 6-SPEED AUTOMATIC W/STEPTRONIC Transmission w/Dual Shift Mode A/T 6-Speed A/T STARLIGHT BLUE METALLIC HEATED FRONT SEATS Heated Front Seat(s) WHEELS: 17 Tires - Front Performance Aluminum Wheels Tires - Rear Performance *Note - For third party subscriptions or services, please contact the dealer for more information. * Why spend more money than you have to? This MINI Hardtop 2 Door will help you keep the extra money you'd normally spend on gas. This vehicle won't last long, take it home today. This is the one. Just what you've been looking for. We look forward to seeing you soon! Please call us for more information. Looking for a 2019 MINI Hardtop 2 Door? This is it. This MINI includes: ANTHRACITE HEADLINER MIDNIGHT BLACK METALLIC TRANSMISSION: 6-SPEED AUTOMATIC W/STEPTRONIC Transmission w/Dual Shift Mode A/T 6-Speed A/T HEATED FRONT SEATS Heated Front Seat(s) WHEELS: 17 Tires - Front Performance Aluminum Wheels Tires - Rear Performance *Note - For third party subscriptions or services, please contact the dealer for more information. * Start enjoying more time in your new ride and less time at the gas station with this 2019 MINI Hardtop 2 Door. Just what you've been looking for. With quality in mind, this vehicle is the perfect addition to take home. The MINI Hardtop 2 Door Cooper will provide you with everything you have always wanted in a car -- Quality, Reliability, and Character. We look forward to seeing you soon! Please call us for more information. Looking for a 2019 MINI Hardtop 2 Door? This is it. This MINI includes: ANTHRACITE HEADLINER TRANSMISSION: 6-SPEED AUTOMATIC W/STEPTRONIC Transmission w/Dual Shift Mode A/T 6-Speed A/T HEATED FRONT SEATS Heated Front Seat(s) WHEELS: 17 Tires - Front Performance Aluminum Wheels Tires - Rear Performance *Note - For third party subscriptions or services, please contact the dealer for more information. * Everyone hates the gas pump. Skip a few gas stations with this super fuel efficient MINIHardtop 2 Door. Based on the superb condition of this vehicle, along with the options and color, this MINI Hardtop 2 Door Cooper is sure to sell fast. There is no reason why you shouldn't buy this MINI Hardtop 2 Door Cooper. It is incomparable for the price and quality. We look forward to seeing you soon! Please call us for more information. THIS MINI IS CURRENTLY A SERVICE LOANER. IT COULD BE WITH ONE OF OUR CUSTOMERS. PLEASE CALL FOR AVAILABILITY & MILES This MINI includes: TRANSMISSION: 6-SPEED AUTOMATIC W/STEPTRONIC Transmission w/Dual Shift Mode A/T 6-Speed A/T HEATED FRONT SEATS Heated Front Seat(s) *Note - For third party subscriptions or services, please contact the dealer for more information. * Everyone hates the gas pump. Skip a few gas stations with this super fuel efficient MINIHardtop 2 Door. This vehicle won't last long, take it home today. You can finally stop searching... You've found the one you've been looking for. We look forward to seeing you soon! Please call us for more information. Looking for a 2019 MINI Hardtop 2 Door? This is it. This MINI includes: TRANSMISSION: 6-SPEED AUTOMATIC W/STEPTRONIC Transmission w/Dual Shift Mode A/T 6-Speed A/T HEATED FRONT SEATS Heated Front Seat(s) *Note - For third party subscriptions or services, please contact the dealer for more information. * Why spend more money than you have to? This MINI Hardtop 2 Door will help you keep the extra money you'd normally spend on gas. This is about the time when you're saying it is too good to be true, and let us be the one's to tell you, it is absolutely true. Look no further, you have found exactly what you've been looking for. We look forward to seeing you soon! Please call us for more information. ***This vehicle is currently a service loaner, it could be with one of our service customers, please call for availability and current miles*** This MINI includes: SIGNATURE UPHOLSTERY PACKAGE Leather Steering Wheel Bucket Seats ROOF RAILS SIGNATURE LINE PACKAGE Keyless Start Transmission w/Dual Shift Mode Tires - Front All-Season Tires - Front Performance A/C Climate Control Generic Sun/Moonroof Power Door Locks Keyless Entry Tires - Rear Performance Sun/Moonroof A/T 6-Speed A/T Dual Moonroof Tires - Rear All-Season *Note - For third party subscriptions or services, please contact the dealer for more information. * Save money at the pump with this fuel-sipping MINI Hardtop 2 Door. There is no reason why you shouldn't buy this MINI Hardtop 2 Door . It is incomparable for the price and quality. Just what you've been looking for. With quality in mind, this vehicle is the perfect addition to take home. We look forward to seeing you soon! Please call us for more information. ***This vehicle is currently a service loaner, it could be with one of our service customers, please call for availability and current miles*** This MINI includes: LED HEADLIGHTS W/CORNERING LIGHTS Daytime Running Lights Headlights-Auto-Leveling SIGNATURE LINE PACKAGE Keyless Start Transmission w/Dual Shift Mode Tires - Front All-Season Tires - Front Performance A/C Climate Control Generic Sun/Moonroof Power Door Locks Keyless Entry Tires - Rear Performance Sun/Moonroof A/T 6-Speed A/T Dual Moonroof Tires - Rear All-Season *Note - For third party subscriptions or services, please contact the dealer for more information. * Why spend more money than you have to? This MINI Hardtop 2 Door will help you keep the extra money you'd normally spend on gas. The MINI Hardtop 2 Door Cooper will provide you with everything you have always wanted in a car -- Quality, Reliability, and Character. The look is unmistakably MINI, the smooth contours and cutting-edge technology of this MINI Hardtop 2 Door Cooper will definitely turn heads. We look forward to seeing you soon! Please call us for more information. Looking for a 2019 MINI Hardtop 2 Door? This is it. This MINI includes: ANTHRACITE HEADLINER LED HEADLIGHTS W/CORNERING LIGHTS Daytime Running Lights Headlights-Auto-Leveling SIGNATURE LINE PACKAGE Keyless Start Transmission w/Dual Shift Mode Tires - Front All-Season Tires - Front Performance A/C Climate Control Generic Sun/Moonroof Power Door Locks Keyless Entry Tires - Rear Performance Sun/Moonroof A/T 6-Speed A/T Dual Moonroof Tires - Rear All-Season *Note - For third party subscriptions or services, please contact the dealer for more information. * Stylish and fuel efficient. It's the perfect vehicle for keeping your fuel costs down and your driving enjoying up. You can finally stop searching... You've found the one you've been looking for. There is no reason why you shouldn't buy this MINI Hardtop 2 Door Cooper. It is incomparable for the price and quality. We look forward to seeing you soon! Please call us for more information. Looking for a 2019 MINI Hardtop 2 Door? This is it. This MINI includes: TOUCHSCREEN NAVIGATION PACKAGE Smart Device Integration Navigation System Hard Disk Drive Media Storage MP3 Player BLACK BONNET STRIPES SIGNATURE LINE PACKAGE Keyless Start Transmission w/Dual Shift Mode Tires - Front All-Season Tires - Front Performance A/C Climate Control Generic Sun/Moonroof Power Door Locks Keyless Entry Tires - Rear Performance Sun/Moonroof A/T 6-Speed A/T Dual Moonroof Tires - Rear All-Season *Note - For third party subscriptions or services, please contact the dealer for more information. * Why spend more money than you have to? This MINI Hardtop 2 Door will help you keep the extra money you'd normally spend on gas. Enjoy the drive without worrying about directions thanks to the built-in navigation system. We look forward to seeing you soon! Please call us for more information. ***This vehicle is currently a service loaner, it could be with one of our service customers, please call for availability and current miles*** This MINI includes: SIGNATURE LINE PACKAGE Keyless Start Transmission w/Dual Shift Mode Tires - Front All-Season Tires - Front Performance Aluminum Wheels A/C Climate Control Leather Steering Wheel Adaptive Cruise Control Generic Sun/Moonroof Power Door Locks Keyless Entry Tires - Rear Performance Sun/Moonroof A/T 6-Speed A/T Dual Moonroof Tires - Rear All-Season SIGNATURE UPHOLSTERY PACKAGE Leather Steering Wheel *Note - For third party subscriptions or services, please contact the dealer for more information. * Save money at the pump with this fuel-sipping MINI Hardtop 2 Door. There is no reason why you shouldn't buy this MINI Hardtop 2 Door S. It is incomparable for the price and quality. Based on the superb condition of this vehicle, along with the options and color, this MINI Hardtop 2 Door S is sure to sell fast. We look forward to seeing you soon! Please call us for more information. Looking for a 2019 MINI Hardtop 2 Door? This is it. This MINI includes: SIGNATURE LINE PACKAGE Keyless Start Transmission w/Dual Shift Mode Tires - Front All-Season Tires - Front Performance Aluminum Wheels A/C Climate Control Leather Steering Wheel Adaptive Cruise Control Generic Sun/Moonroof Power Door Locks Keyless Entry Tires - Rear Performance Sun/Moonroof A/T 6-Speed A/T Dual Moonroof Tires - Rear All-Season PREMIUM PACKAGE Fog Lamps HD Radio Tires - Front Performance Daytime Running Lights Satellite Radio Tires - Rear Performance Premium Sound System Power Folding Mirrors Headlights-Auto-Leveling *Note - For third party subscriptions or services, please contact the dealer for more information. * Everyone hates the gas pump. Skip a few gas stations with this super fuel efficient MINIHardtop 2 Door. This is about the time when you're saying it is too good to be true, and let us be the one's to tell you, it is absolutely true. You can finally stop searching... You've found the one you've been looking for. We look forward to seeing you soon! Please call us for more information. Looking for a 2019 MINI Hardtop 2 Door? This is it. This MINI includes: STORAGE PACKAGE SIGNATURE LINE PACKAGE Keyless Start Transmission w/Dual Shift Mode Tires - Front All-Season Tires - Front Performance Aluminum Wheels A/C Climate Control Leather Steering Wheel Adaptive Cruise Control Generic Sun/Moonroof Power Door Locks Keyless Entry Tires - Rear Performance Sun/Moonroof A/T 6-Speed A/T Dual Moonroof Tires - Rear All-Season PREMIUM PACKAGE Fog Lamps HD Radio Tires - Front Performance Daytime Running Lights Satellite Radio Tires - Rear Performance Premium Sound System Power Folding Mirrors Headlights-Auto-Leveling *Note - For third party subscriptions or services, please contact the dealer for more information. * Save money at the pump with this fuel-sipping MINI Hardtop 2 Door. You can finally stop searching... You've found the one you've been looking for. Just what you've been looking for. With quality in mind, this vehicle is the perfect addition to take home. We look forward to seeing you soon! Please call us for more information. Looking for a 2019 MINI Hardtop 2 Door? This is it. This MINI includes: SIGNATURE LINE PACKAGE Keyless Start Transmission w/Dual Shift Mode Tires - Front All-Season Tires - Front Performance Aluminum Wheels A/C Climate Control Leather Steering Wheel Adaptive Cruise Control Generic Sun/Moonroof Power Door Locks Keyless Entry Tires - Rear Performance Sun/Moonroof A/T 6-Speed A/T Dual Moonroof Tires - Rear All-Season PREMIUM PACKAGE Fog Lamps HD Radio Tires - Front Performance Daytime Running Lights Satellite Radio Tires - Rear Performance Premium Sound System Power Folding Mirrors Headlights-Auto-Leveling *Note - For third party subscriptions or services, please contact the dealer for more information. * Save money at the pump with this fuel-sipping MINI Hardtop 2 Door. This is about the time when you're saying it is too good to be true, and let us be the one's to tell you, it is absolutely true. This is the one. Just what you've been looking for. We look forward to seeing you soon! Please call us for more information.